Schwarzenegger returns in true-life drama. Described as 'Sully on steroids', Aftermath is based on the true story of one man's quest for vengeance against the man he blames for a plane crash that wiped out his family. 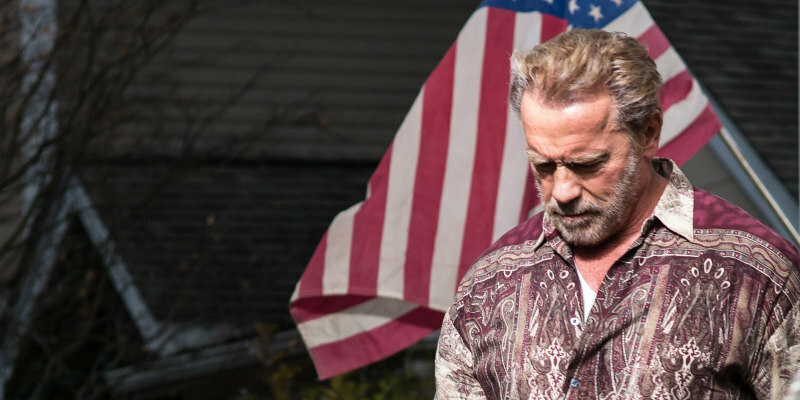 Starring Arnold Schwarzenegger, Maggie Grace and Scoot McNairy, Aftermath is in UK cinemas April 7th. The remarkable true story of the events that unfolded when a Russian passenger plane collidedwith a cargo plane over Germany in 2002. 71 people die. Roman Melnyk, whose wife and two children were killed in the accident, struggles to cope with the tragedy and desperately searches for answers, and cannot rest until he finds the person responsible for his loss. Jake, the air traffic controller on that fateful day, also finds his life in pieces. Forced to take on a new identity, his marriage crumbles, he loses his job, and he becomes a ghost of his former self. The story builds to its tragic conclusion 478 days later when the two strangers finally meet.